I think previously I've spoken about my intentions to get a inked and it has since been two birthdays passed. I still yet to get my self inked. Not so much of a piercing person because I don't really appreciate metal stuff hanging around my skin that much. The only piercing I had was just on my left year and that was it. Nothing more nothing less. So I have been planning to get my self a tattoo for the longest time ever and because I've not found the right design, that plan never materialised. However, now, I've actually got any idea of what I want and it is just the right time to get in permanently marked on my body. For the past few months I've been going through the net scouting for ideas and also inspiration on what sort of tattoo I should be getting. There's like thousands of it out there but in the end I finally manage to drill down to one sort of design that I'm looking for. 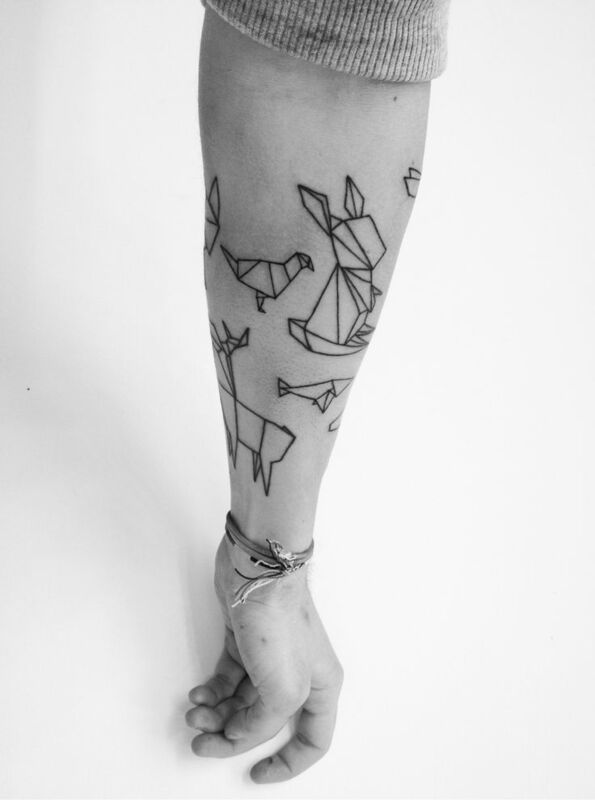 I just love how geometry tattoos designs are. It just simple, delicate and meaningful. Here's an example of how a geometry tattoo is. The simple lines itself is strong and bold enough that it doesn't require any other additional filling or colouring. So design, inspiration I've got that covered. Now the second hardest part is where to ink that design on my skin. It has to be a place which I can see it and the public can see as well. The places that I could think of was either my leg, hand, or arm. Not keen to have it on my back or chest because firstly I'm not buff enough and secondly it wouldn't look great on me. If it was on those place I need to be like those Men Health Cover wannabe first. Planning to get it done by June because I need to have some budget first before I can actually do it right? You should. It's not as scary as it looks. I am afraid of needles as well but when it hit my skin, it was like an ant bite.